Do you ever wonder where your story ideas come from? 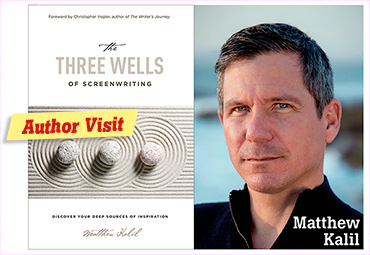 Discover your hidden wells of endless creativity and use them to write highly original scenes, characters, and adventures. Welcome to join this special theme philosophy reading group, facilitated by Madeleine Hyde. There will be a meeting in Uppsala as well as in Stockholm. This is the epic story of the universe and our place in it, from 13.8 billion years ago to the remote future. 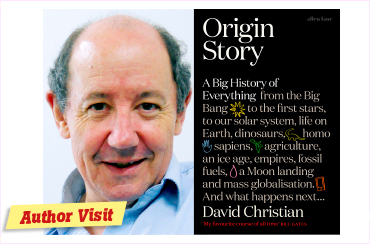 Big History creator David Christian gives the answers in a mind-expanding cosmological detective story told on the grandest possible scale. 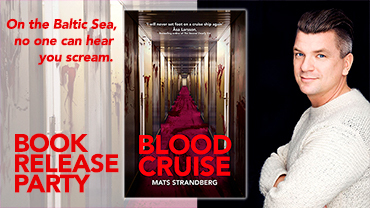 Join us in the Stockholm shop for the book release for BLOOD CRUISE – a thrilling horror chiller by Mats Strandberg, the new Stephen King. Limited space, get your ticket today. 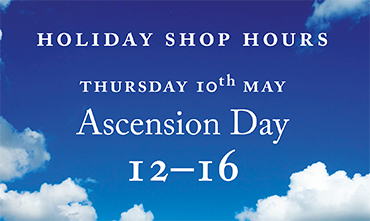 Today, May 8th, our shop in Stockholm turns 10 – come celebrate with us! 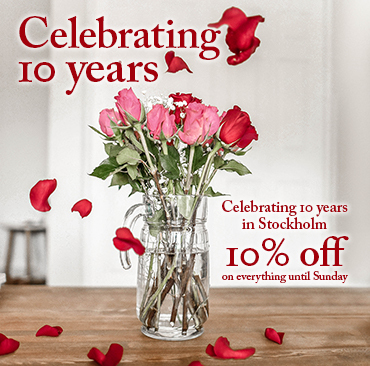 10% off everything in the Stockholm shop until Sunday. On a sunny Thursday in May ten years ago, Carolyn Cassady of immense beat (and other) fame, cut the green ribbon and inaugurated our shop in Old Town in Stockholm. Today, May 8th, marks the ten year anniversary of the shop opening in Stockholm. 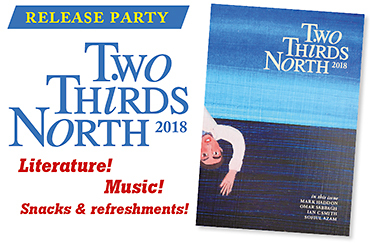 Join us for the release party for the 2018 issue of TWO THIRDS NORTH, Stockholm University’s journal of international literature! If you have a craving for international literature then you should come for an evening of live readings and literary discussions at the Stockholm bookshop. Buy a copy of the journal and get it signed by the authors while you chat with the writers, editors, and professors of Stockholm University’s creative writing program. In this year’s issue you will find fiction and poetry by 31 contributors under the headings of The Maelstrom’s Current, Where Are You Now?, Love and its Discontents, What Else in the End?, and finally And Yet, And Yet. Also an edited and commented draft showing the process of editing, followed by a conversation between author and editor. In this year’s issue you will also find an interview with author Mark Haddon. The band Mister Ferrari will do a short acoustic set, performing songs from their upcoming debut album. Thursday 19th April at 19:00. Free! Feel free to like&share this facebook event – bring a friend or two! 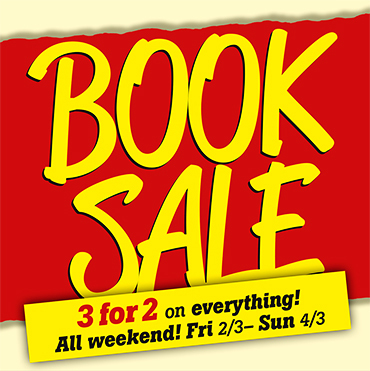 Book Sale continues… Wow, what a sale weekend we had – so many books (and bags and mugs and pencil cases and...) found new happy homes. The books left behind were a bit grumpy though. To give them a chance of finding new homes we continue with a GREEN DOT TREASURE HUNT! 3 for 2 on selected books in the shops (all with a green dot on their spines). 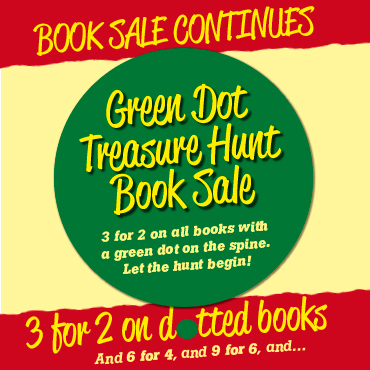 Find 3 books with green dots, pay for 2. Let the dot hunt begin! BOOK SALE! 3 for 2 on everything! All weekend! We’re celebrating the joy of reading (and well-filled bookshelves) with a great sale this weekend: not just on selected titles, but on everything in the shop. 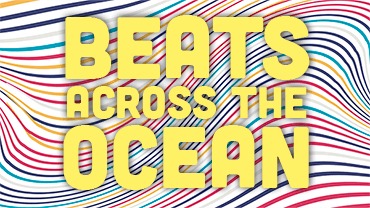 Starting today 2nd March, runs until Sunday 4th March. 3 for 2 on everything in the shop. Or pick 6 for 4. Grab 9 and pay for 6. You get the idea.